While my previous post was all about the summer fruit trend, this week I'll focus on another crowd pleasing trend that combines one of my favorite things - handmade paper jewelry - with oh so popular tassels. Swingy attention-getters have caught on in the fashion world the past few years and are still going strong! 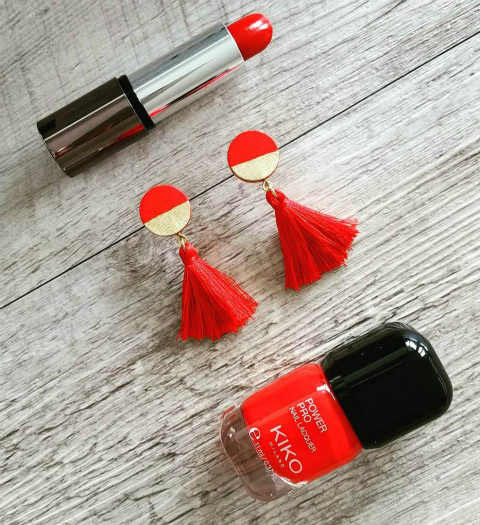 These red hot earrings are the work of Barbara Brandimarte of Colla Carta Creo in Dübendorf, Switzerland. 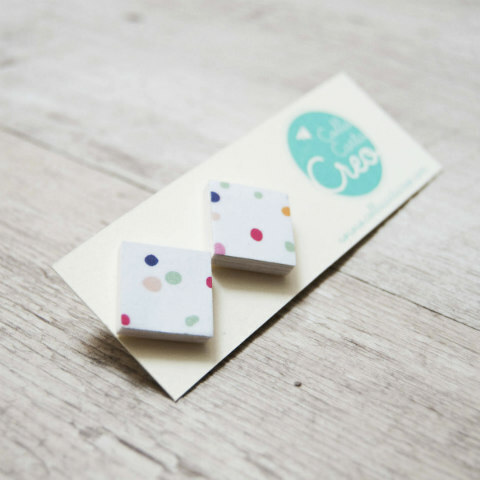 The Etsy shop name translates loosely to create with paper. With a degree in architecture, Barbara puts her skills to use designing high quality, contemporary paper earrings and necklaces. 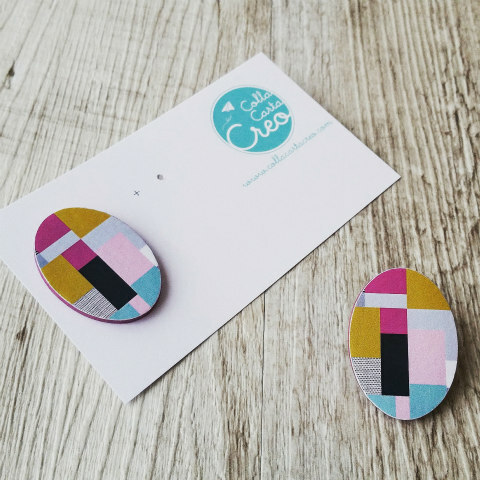 To create patterned paper earrings, she builds up layers of hand punched paper and applies a digital print of her own design to the surface. These triangular earrings are topped with black paper and gold foil. I love a bit of shine and these are such dramatic beauties with extra long tassels. 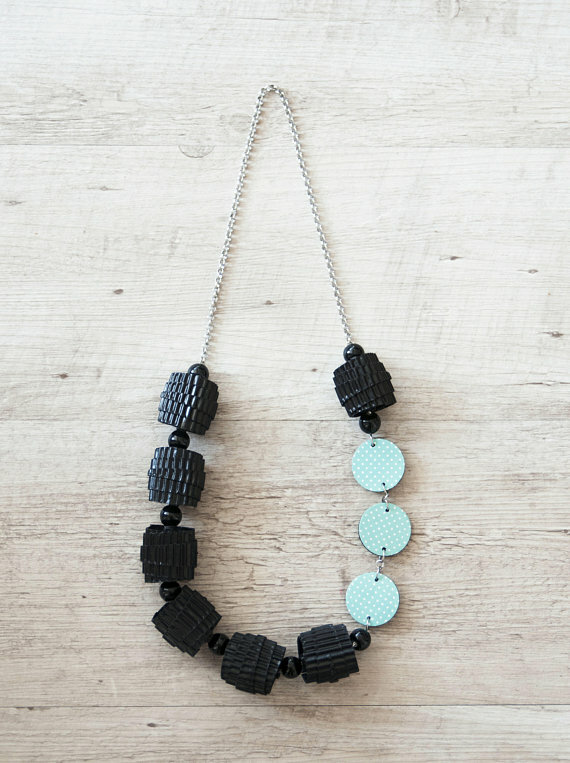 Colla Carta Creo necklaces feature hand rolled corrugated paper strips combined with paper discs, ceramic beads, and a metal chain or flower patterned cotton cord. 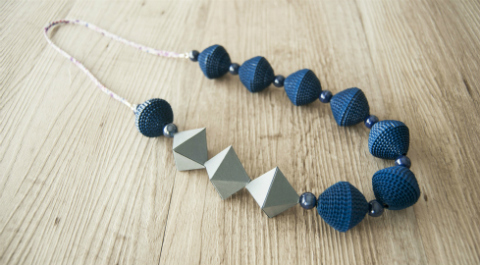 The bright blue crimped bead necklace above includes hand folded geometric elements and lustrous beads. The dotted yellow oval earrings include graceful dangles of aqua Murano glass. Barbara protects all paper elements with a transparent solution that will resist humidity and a few drops of water, but she does not advise submerging the jewelry. No swimming allowed! The tassels are made of cotton thread and the findings Barbara prefers are rhodium-plated silver metal. Now, about the international giveaway! There will be one winner here on the blog and one on Instagram. 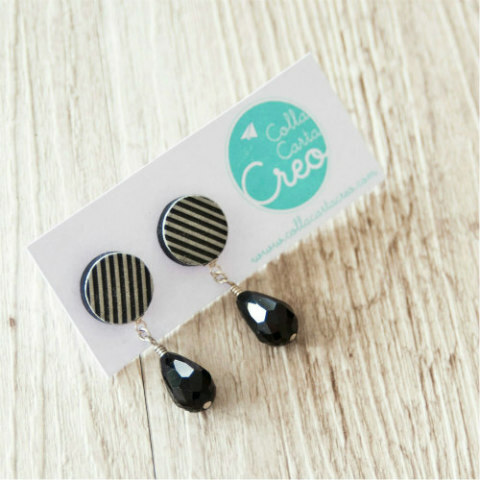 The blog winner will receive any item of her or his choice, shipping included, from Colla Carta Creo! Enter at one or both places (but you can only win once) by the end of Saturday, July 21, 2018 to double your chances. The winners will be notified and announced at the bottom of this post and on the Instagram giveaway photo. Good luck! 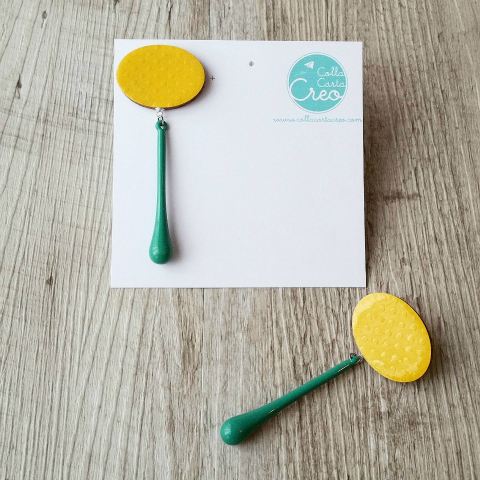 In addition, all readers of this post who choose to add Colla Carta Creo to their list of Etsy favorite shops July 16-22, 2018 will receive a 10% off coupon to use toward the purchase of any item in the shop from July 23 through December 1, 2018. When Barbara is notified that you have added her shop to your favorites, she will personally email you a coupon code. Congratulations to the winner, Niharika B! Stay tuned for another giveaway coming up soon. I love to introduce new shops, books, and more. This giveaway is sponsored by Colla Carta Creo. Love the black and mint necklace above or the red geometric necklace! My favorite piece is the black and light blue becklace. https://www.etsy.com/listing/620013759/paper-necklace-long-necklace-modern?ref=shop_home_active_30. Her beads are so pretty. My fav...I love the yellow oval earrings with aqua Murano glass! Yay, I'm the first commenter! Thank you again for an awesome giveaway!!! 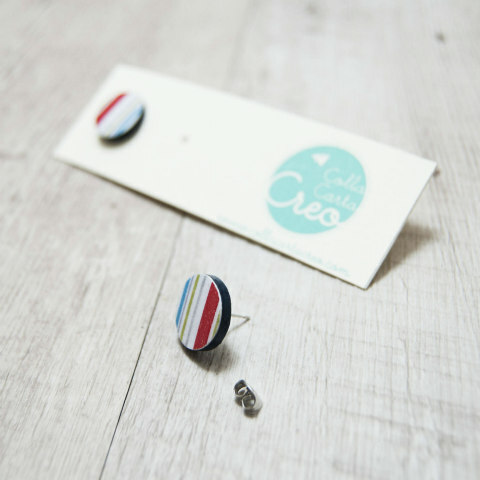 I love all the pretty paper jewelry from Colla Carta Creo!! 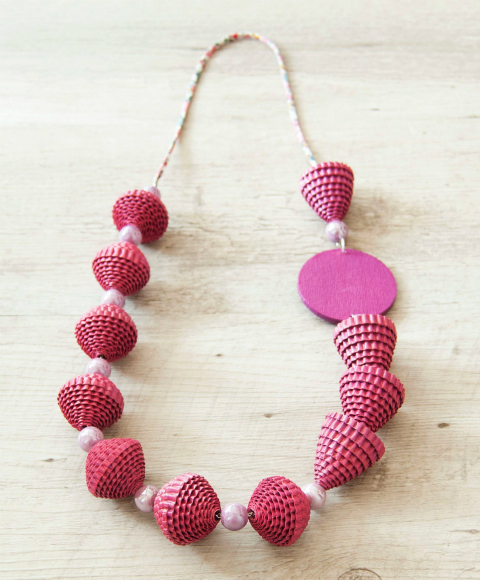 My favorite piece is the corrugated pink paper necklace!!! Ooooh I would just love to win it!!! Lots of beautiful work. So hard to pick a favorite, but I think it would be the black Modern necklace with the red circle. I love her work. I'm drawn to the black and gold earrings with tassel (both the pair you showed and she also has another similar pair on her website. Thanks for the international giveaway. All your creations are really gorgeous. 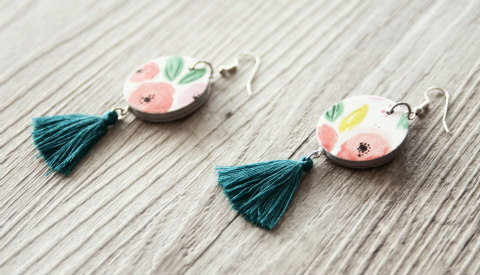 I would love to win the below pair of earring. The giveaway has ended. Thanks for your entries and enthusiasm for Colla Carta Crea! Thanks Ann & Barbara for hosting this wonderful giveaway :) I'm really happy to have won. The jewelry pieces are gorgeous.